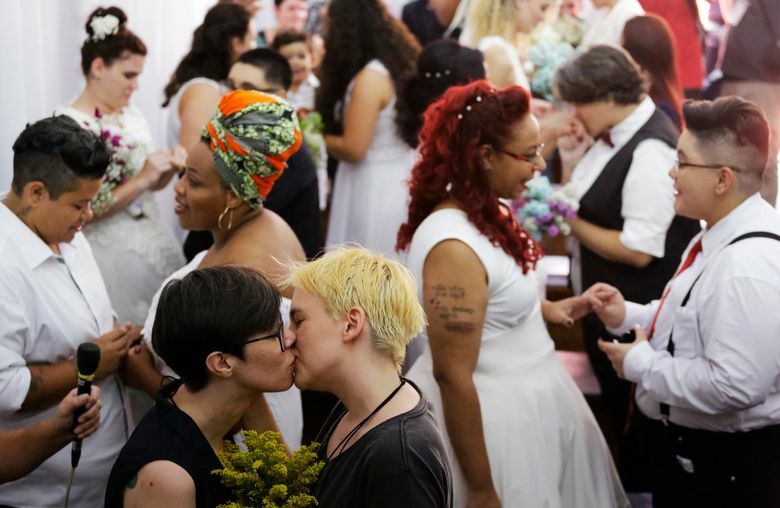 Although his campaign did not express views against gay marriage, Bolsonaro’s record of homophobic comments has caused alarm. 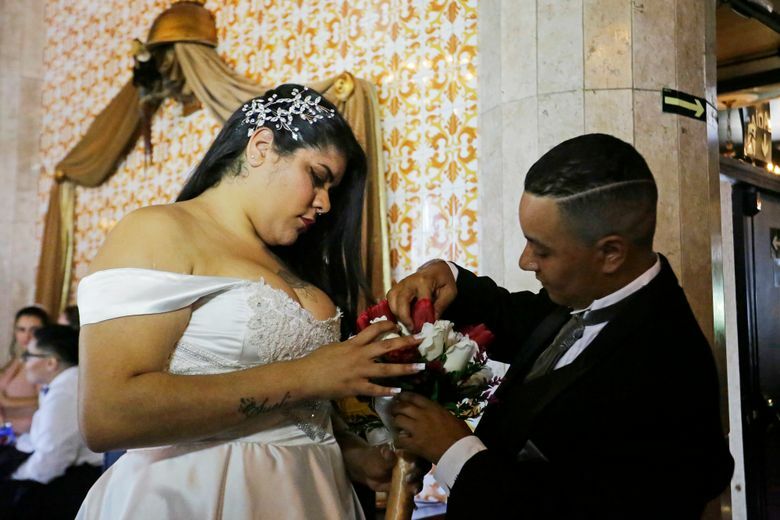 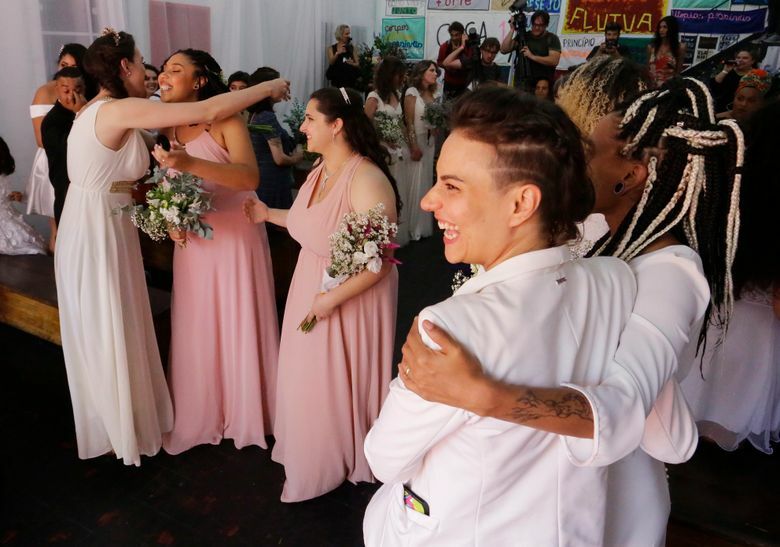 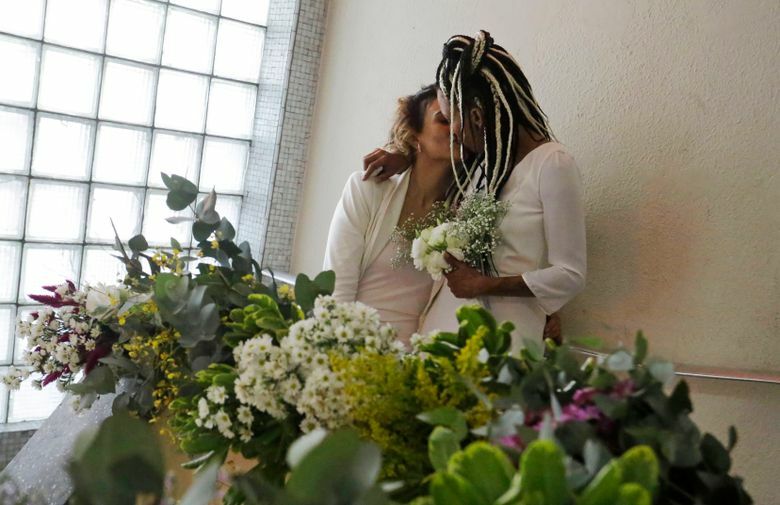 On Saturday, dozens of people exchanged vows during a collective ceremony held at Casa1, an NGO that provides support to disadvantaged LGBT youth. 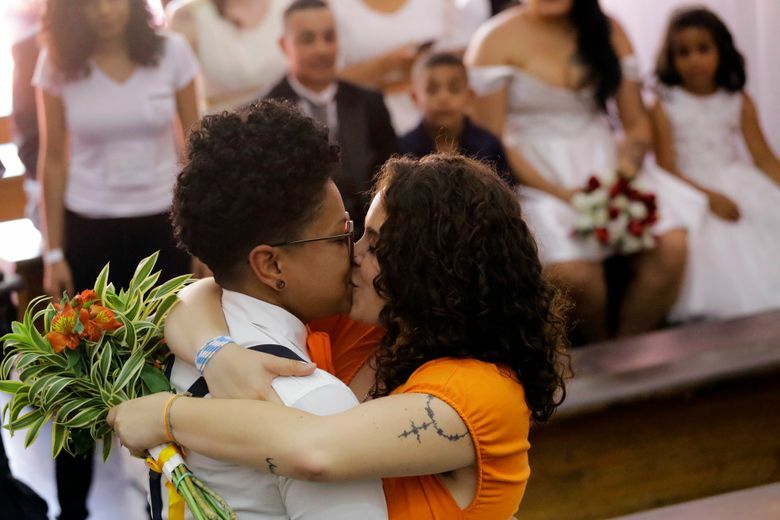 Casa1 launched a campaign a few weeks ago to hold the ceremony “in the face of the political situation” and raised almost $12,000 to cover expenses. 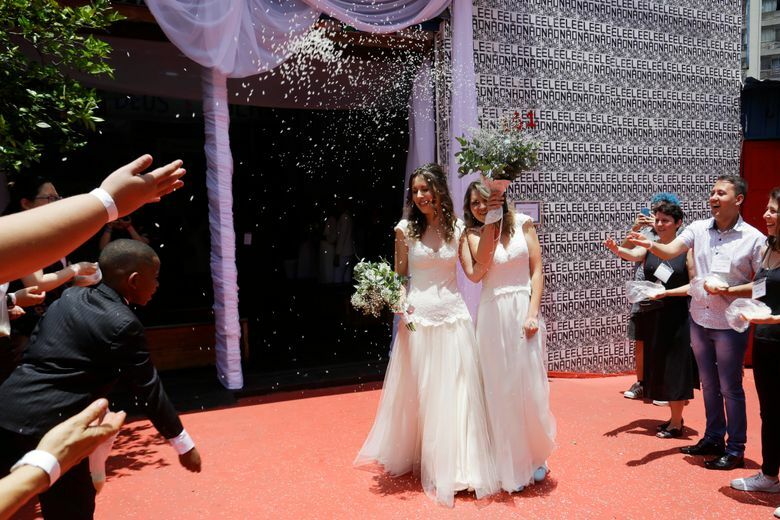 “It’s our way of raising the flag for our rights in this new setting,” said Lais Risatto, an NGO member. 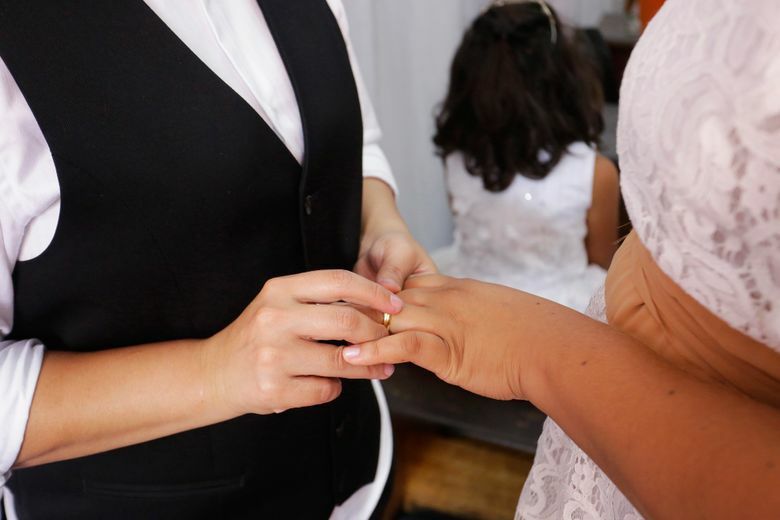 Luana Hansen, 37, got married to Glaucia Figueiredo, 29, in response to the perceived threat. 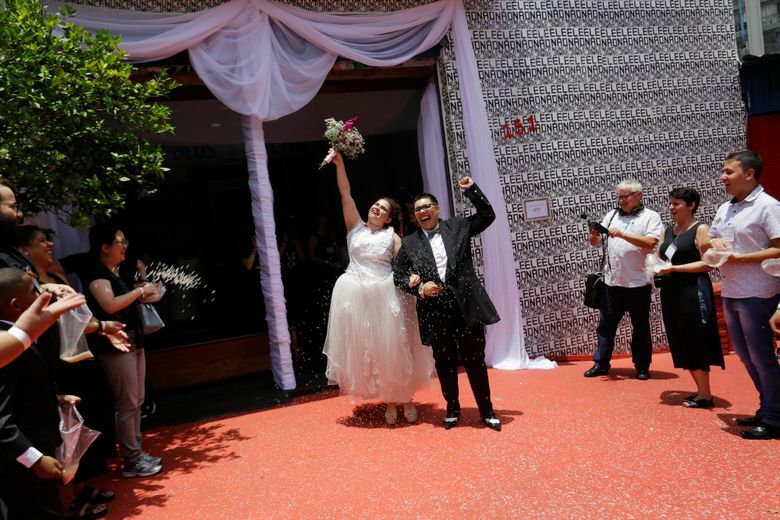 Gay marriage has been legal in Brazil since May 2013. 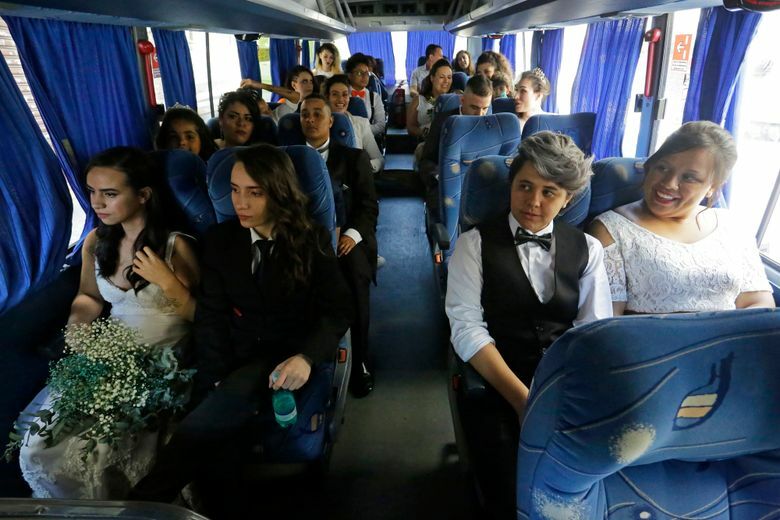 Bolsonaro takes office on Jan. 1.